Rebecca Folsom WOWED us with her concert last year. We are thrilled that she’s chosen to grace our stage again! While her range is impressive, it’s the expression in her voice that rivets your attention and stays with you long after the show ends. One of the founding members of the Fort Myer’s ACMA (Americana Community Music Association), Ray began playing guitar during the early 70’s folk scene. With the support and inspiration of fellow local and touring musicians, he began writing and playing in earnest in 2010. Traveling a long road in a short time, his music encompasses many genres, including Americana, Folk, Blues, Ballads, and a little bit of Country. His storyteller style takes the listener to another place in time, his music and lyrics bringing evocative insights into the many sides of life. Ray is also a singer-songwriter’s song-singer. That is, he does interpretive covers of other great originals by little-known artists using his own creative touch. His inventive fingerstyle guitar is uniquely diverse and easy-on-the-ears. In addition to his status as featured artist at local performance venues in SW Florida, Ray also hosted for WGCU, a live radio show for Michael Haymen’s “Morning Zoo” featuring on “The Aficionado Show.” His song ”Fondest Memory of All”, a tribute to Guy Clark, has been celebrated on the Austin-based KEOS radio. He has opened for such extraordinary artists as Roy Schneider, Robin O’Herin, Jaime Michaels, Pierce Pettis, and Muriel Anderson. 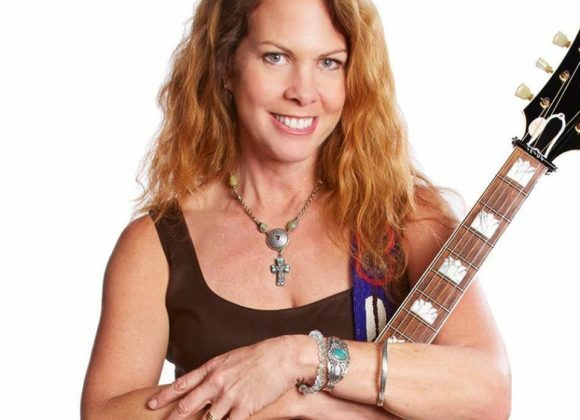 Recent performances include an SRO show for the ACMA, and various standing-room-only house concerts at private residences, as well as several Florida Folk Festivals. His alter ego is “Rafer John,” lead singer and co-songwriter for Apocalypse Blues Revue. Group members include Bryan Carpenter on bass, Tony Rombola and Shannon Larkin of Godsmack, respectively, on guitar and drums. Featuring all original compositions, Apocalypse Blues Revue signed with Mascot/Provogue Records and, after the release of their first CD, toured the Northeast, opening for Steven Tyler, Robbie Krieger of The Doors, Blue Oyster Cult, also touring with Kenny Wayne Shepherd, and playing The Chesapeake Bay Blues Festival, as well as various Blues venues around Florida. ABR’s second album release “The Shape of Blues to Come,” produced by Dave Fortman of Ugly Kid Joe, was released in July of this year. Guest vocalist, Nancy “Harmony Queen” Koerner, is also featured on the new album. Ray is currently working on his own first pro-CD set which he plans to release in the early Spring of 2018. It will be a blend of traditional Americana and songs with styles he has developed through the years working with musicians from all genres.